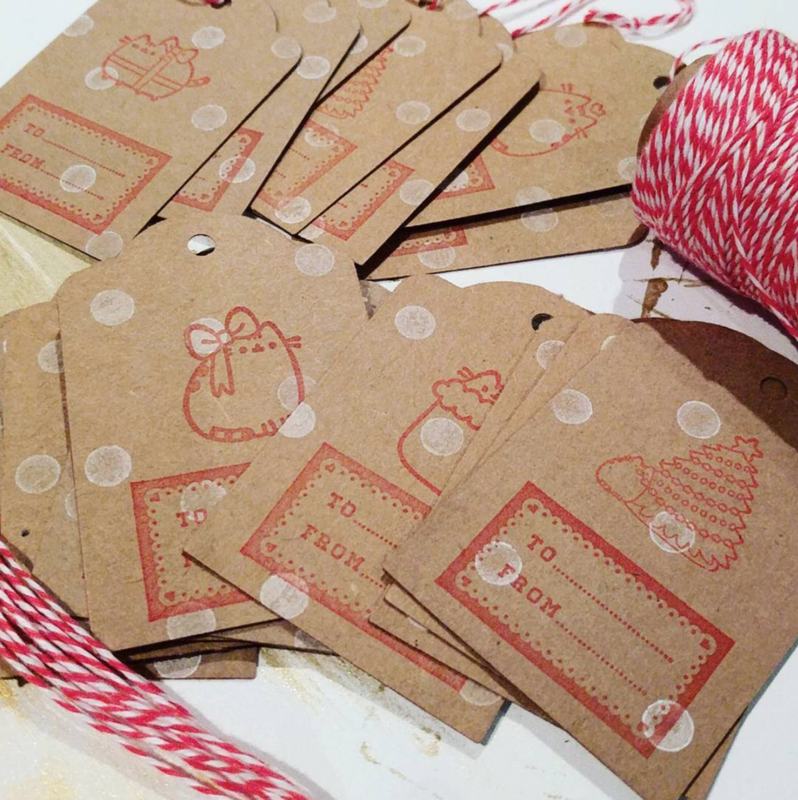 I always like to make custom tags for Christmas gifts. I don't like buying tags when I can just make them. Also, I have a slight obsession with stamps, so I figured why not put that to use. Last year someone gave me these adorable Pusheen stamps and this was my chance to use them. I think they turned out adorable. And when hosting an xmas party, part of the fun is coming up with a cute banner.